A lens treatment is a special additive that either bonds with the lens, or is built into the lens during the lens manufacturing process. Lens treatments often carry warranties and are available as individual additions to lenses for convenience and maximum benefit to your eyes. UV Protection - Unlike sunscreen that you apply and reapply, eyeglass lenses and sunglasses can have ultraviolet protection built into the lens, or applied as a lens treatment. Remember, although UV is invisible to the human eye, it is always present. 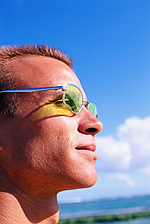 Your lenses, therefore, should always provide UV protection. Tint - Spice things up by choosing a lens color to match the frame or to enhance your vision. All sunglass lenses are tinted to cut down on overall brightness and enhance terrain definition. Polarized Lenses - These lenses are a far better option than just a simple tint. Light reflected from surfaces such as a flat road or smooth water generally is horizontally polarized. This creates an annoying and sometimes dangerous intensity of light that we experience as glare. Polarized lenses contain a special filter that blocks this type of intense reflected light, reducing glare. Scratch Resistant Coating - Scratches on lenses are distracting, plain and simple. And they can interfere with lens performance. Scratch-resistant treatments make lenses more durable and provide you with a warranty if scratches occur. We put our glasses through a lot from day to day—and our children, even more so. Scratch resistant lenses can go a long way toward minimizing the everyday wear and tear we put on our eyewear. Anti-Reflective - WoulW SWa Wouldn't it be nice to have eyeglass lenses that were nearly invisible, and cut glare from headlights, computer screens and harsh lighting, leading to less eye strain and fatigue at the end of the day. 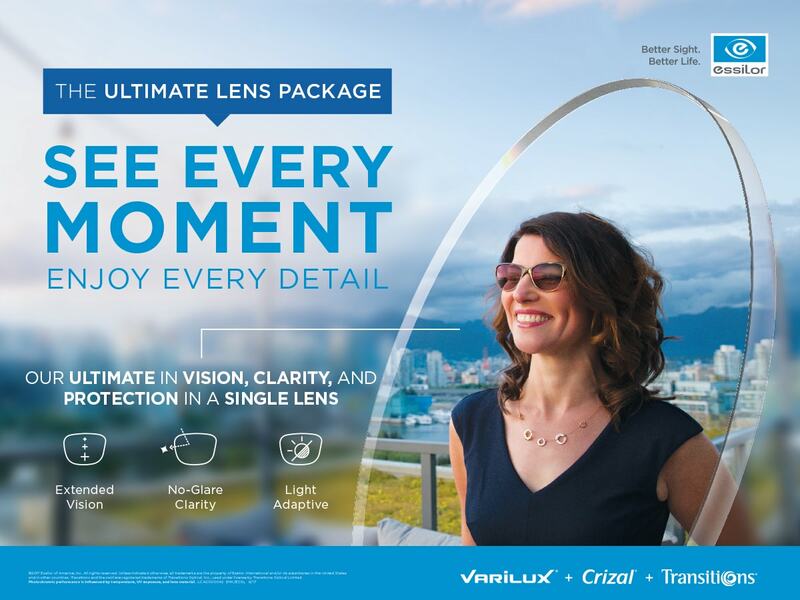 Regional Eye Center is proud to offer you Crizal Anti-Reflective lenses, which provide all of these benefits. Crizal anti-reflective lens treatments are available in almost any eyeglass or sunglass lens type. When WWapplied on the front and the back of prescription lenses, Crizal greatly reduces the light reflected by the lens surfaces. As a result, your eyes appear clearer behind the lenses, vision is more defined, and glare from reflected objects—especially headlights at night—is virtually eliminated. At Regional Eye Center, anti-reflective lens treatments carry a variety of warranties, ranging from a one-year warranty to a LIFETIME warranty against scratches, chips or cracks. Watch a short video below to see how Crizal Anti-Reflective lenses can benefit you. Have you heard of Transition Lenses? Ask your Montezuma, Americus, and Leesburg eye doctor if they are right for you?